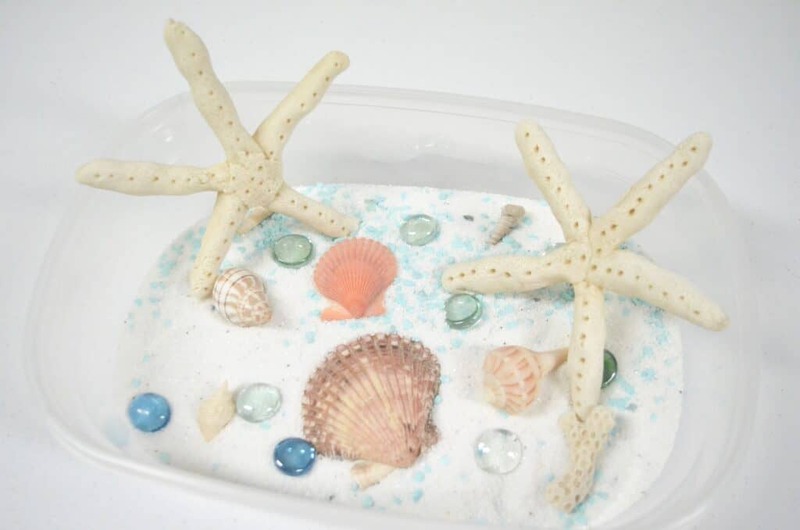 Our tutorial on how to make a beach themed sensory bin with seashells was so popular that I wanted to take it a step further and create some salt dough starfish too! 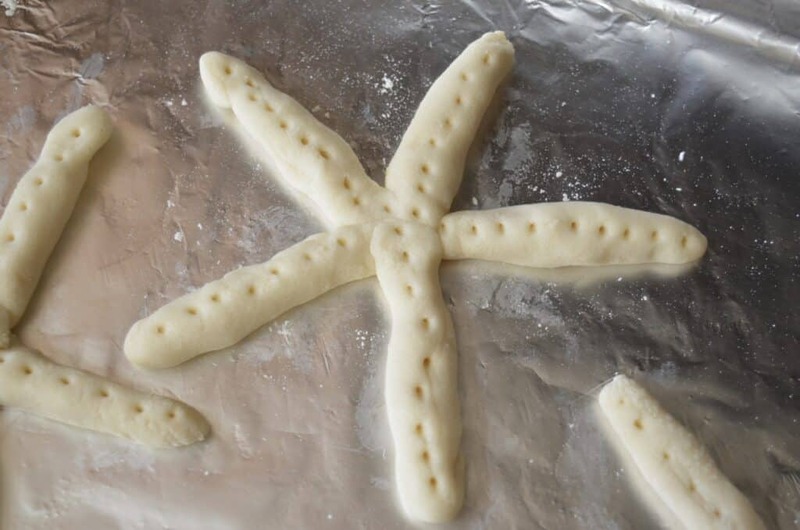 Below you’ll find a written tutorial and a video tutorial of how to make starfish out of salt dough plus the exact salt dough recipe that I used! 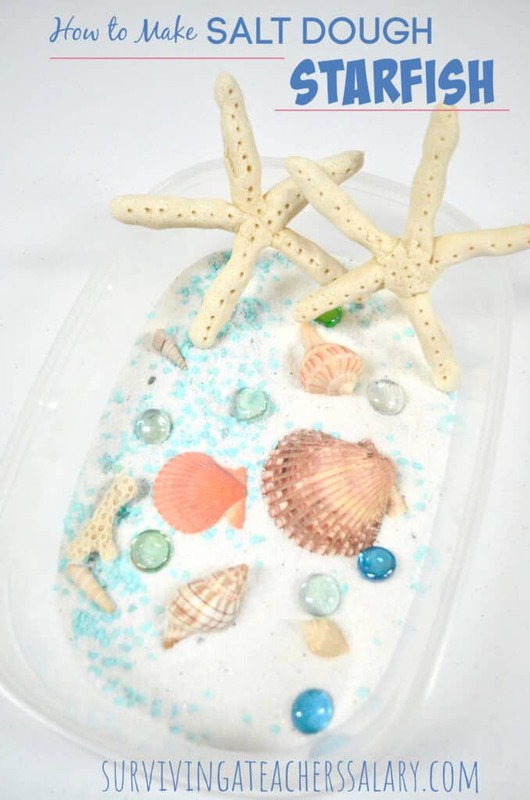 These starfish are great not only for science learning centers and sensory bins but they also make beautiful sturdy beach home decor! Although I prefer to give kids an authentic hands on experience with items from nature like starfish, they are also difficult to come by and extremely fragile. 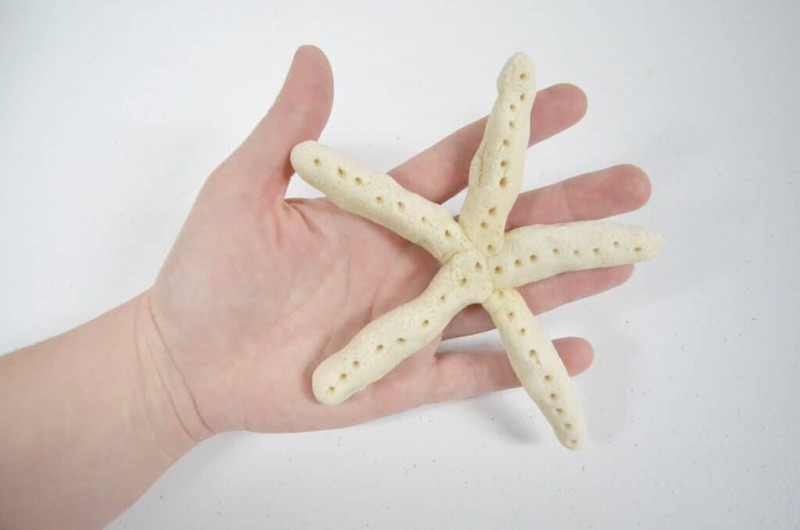 If you are using starfish in a learning center or a classroom, many small hands can be rough and easily break starfish. 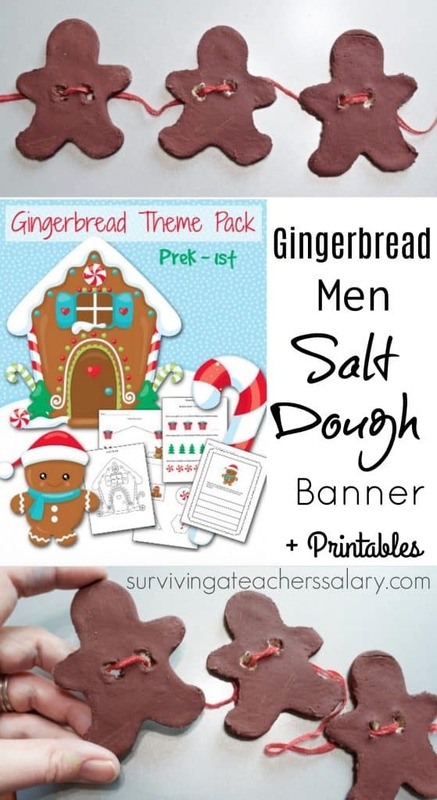 The next best thing is to have the kids make their own! It goes great with our beach sand slime recipe too! 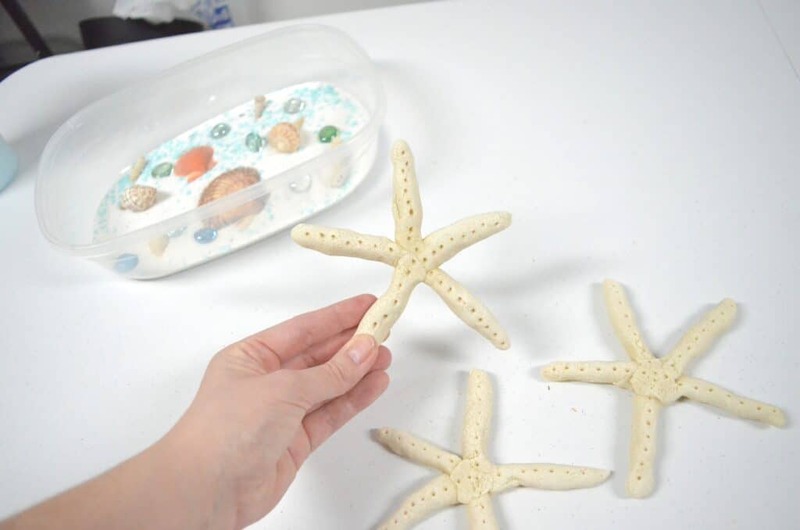 Check out the quick video tutorial below or keep scrolling for the salt dough recipe and instructions on how you can make your own starfish! Mix all of your ingredients in a medium sized bowl – make sure to stir and mix well! I chose to knead the last bit to make sure that it was mixed thoroughly! If it’s too sticky to work with your hands just grab small amounts of flour and work it in until the dough is less sticky. To make the starfish body you’ll need to roll small bits of dough between your hands to form 5 “log” rolls as shown above. 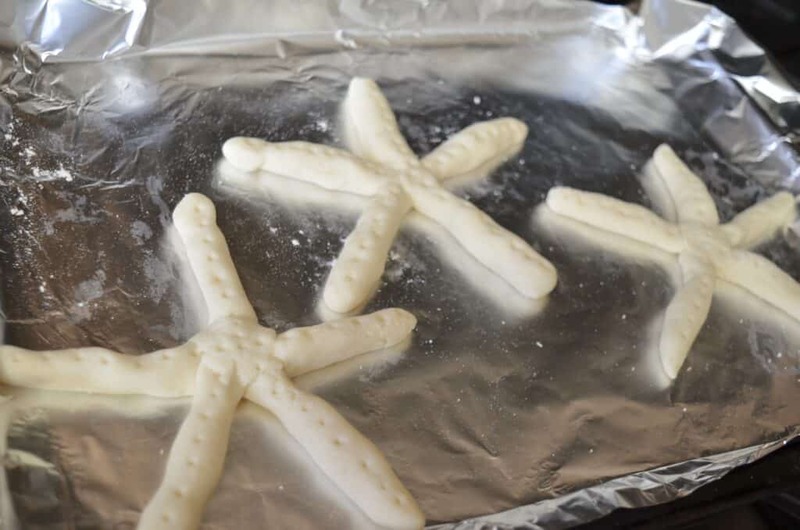 Lay the 5 pieces of dough “logs” touching in the middle to form a starfish shape and gently press together in the middle. 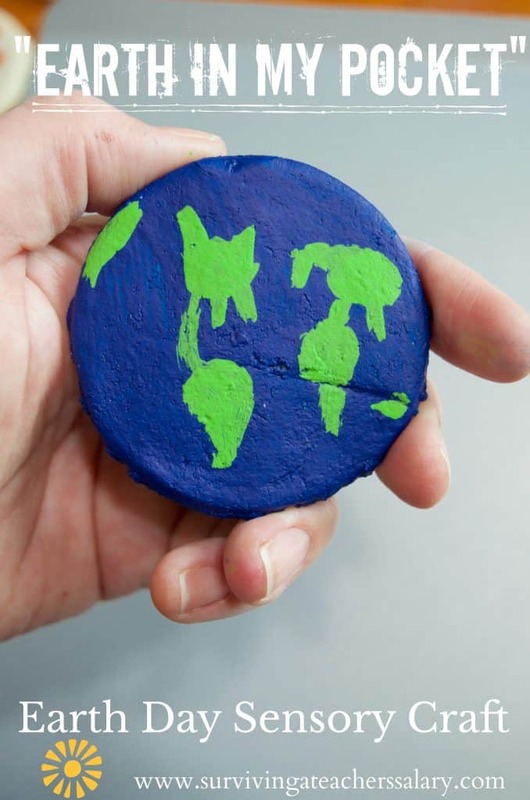 TIP – You can take an additional small piece of dough and press it over the 5 points touching in the middle. I tried it both ways and surprisingly had no issues with my starfish breaking. 4. Using a small pointy object (ice pick, pencil, pumpkin decorating tool, etc.) poke holes in the top of your starfish along each “leg” about half way through the dough. 5. Place starfish on a baking pan lined with foil and bake in the oven at 200*F for about 2 hours. If you have made very thick starfish you may need to let it cook longer. 6. Remove from oven and let cool completely before handling. 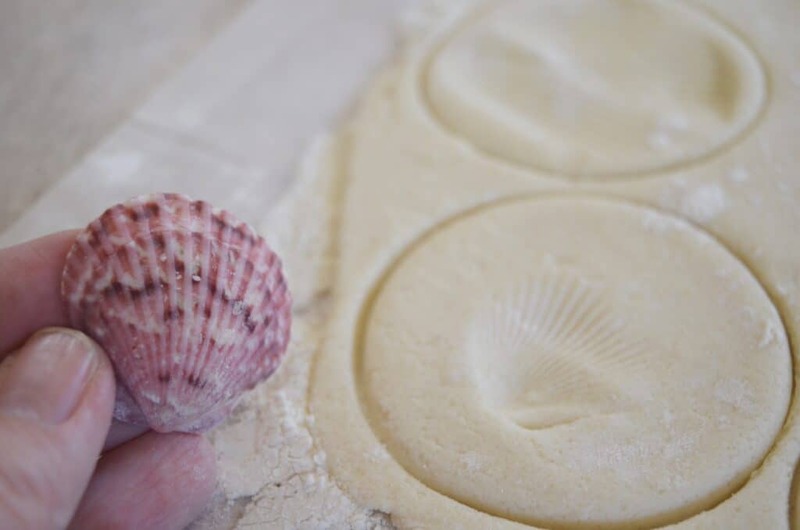 Use the same recipe as above but roll out with a rolling pin (or flatten thin with the palm of your hand) and use seashells to press into the dough and make impressions! Then bake! you can choose to leave it as is or color them later! Above you can see that I ran a thin coat of white acrylic paint on my starfish for a more beachy feel and to see what it would look like. Honestly I preferred to keep most of my starfish without paint as you see below in our beach sensory bin. This is just a matter of preference and you can try it either way! 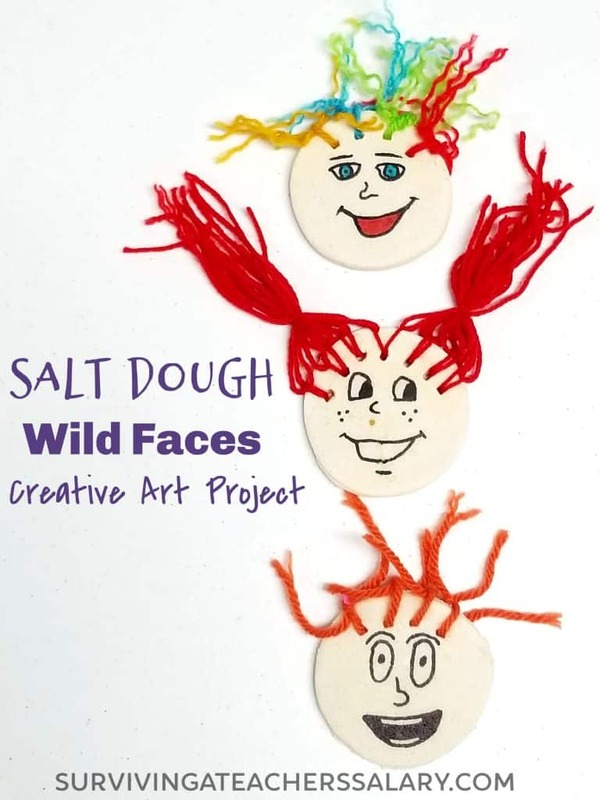 Just make sure that if you decide to paint your starfish salt dough creations that you do not use a water based paint otherwise you will start to break down your salt dough creation! 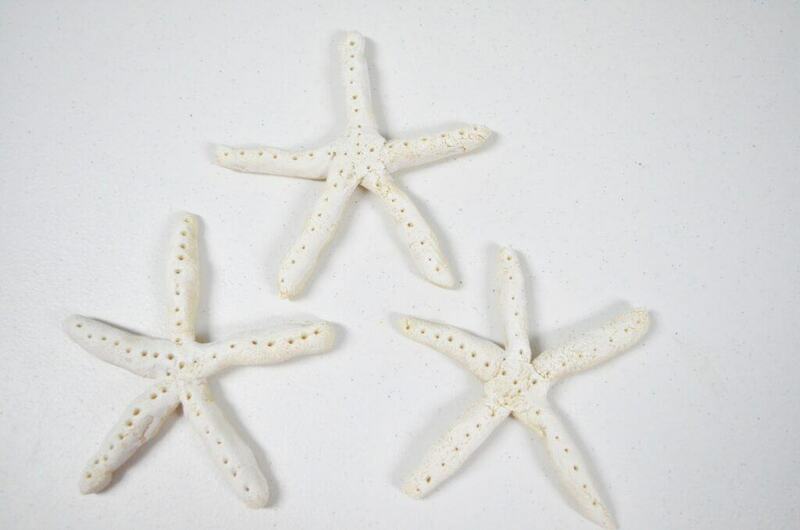 You’re all ready to add your starfish into your beach sensory bins, preschool learning centers, or frames & decor in your house! 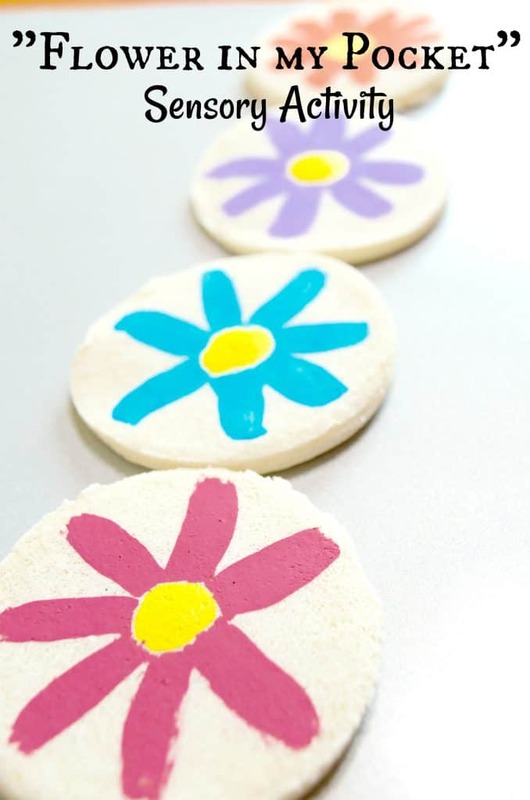 Make sure to read our tips for beach themed sensory bins here and check out more of our salt dough projects below!